1. Spoon preserves over top of Brie. Evenly sprinkle almonds over preserves. 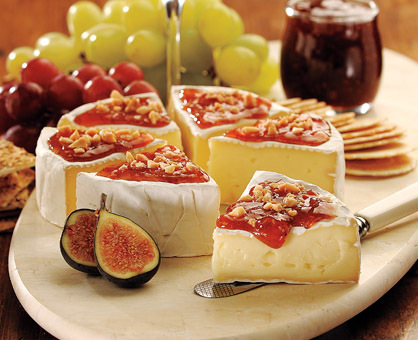 Serve as an appetizer or as a dessert cheese following the main course.